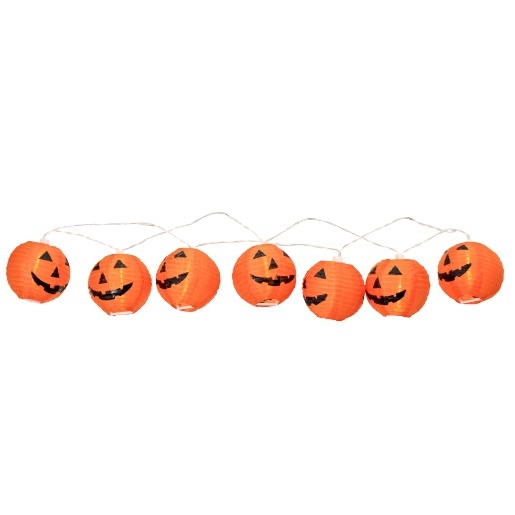 Small lanterns on a string of lights which look like pumpkins. 10 x Lanterns per string stretching 2.3m. Lanterns are approx. : 7.5cm in diameter. Battery operated – not included. Needs 2 x AA batteries. Please read all instructions on packaging before use.